A healthy dip bursting with unexpected tasty flavor. Using 2 (15 ounce) cans of black beans that can be switched using pinto beans to make an excellent , flavorful re-fried bean dip also. One taste and you will be in love! Simply mix with water and olive oil. Makes about 4 cups. 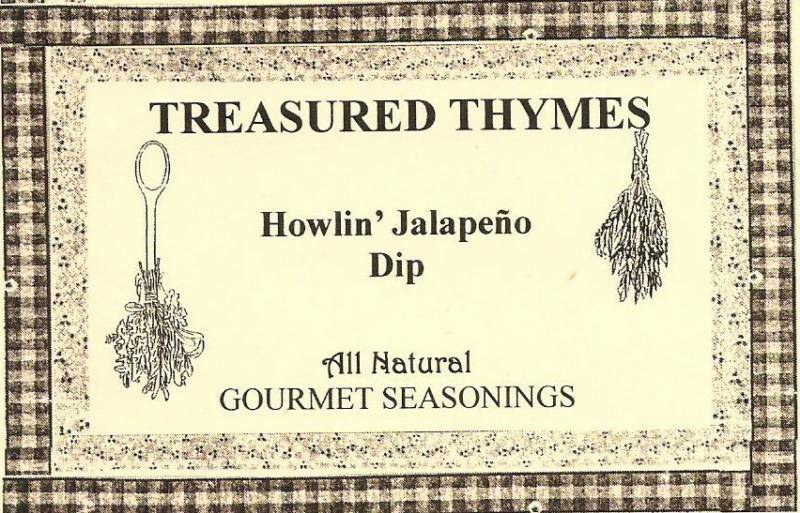 Authentic Louisiana, Cajun flavors that will take you back to the bayou! 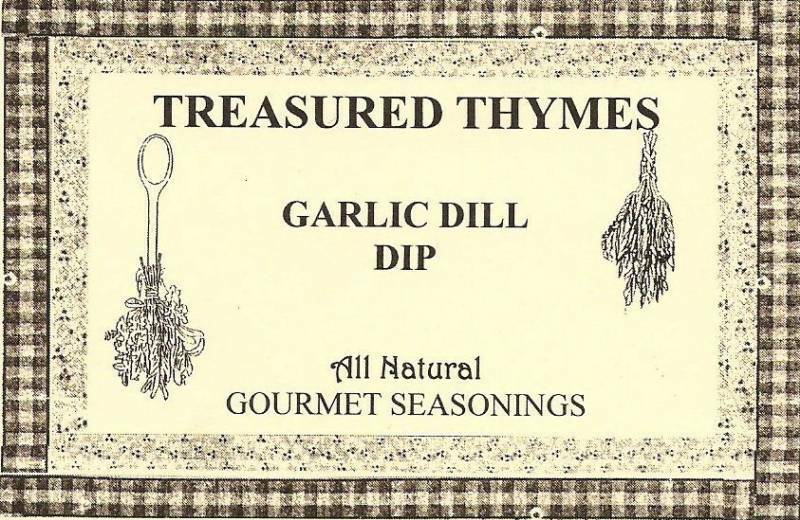 Use as a dip for shrimp, corn chips, or fresh vegetables. 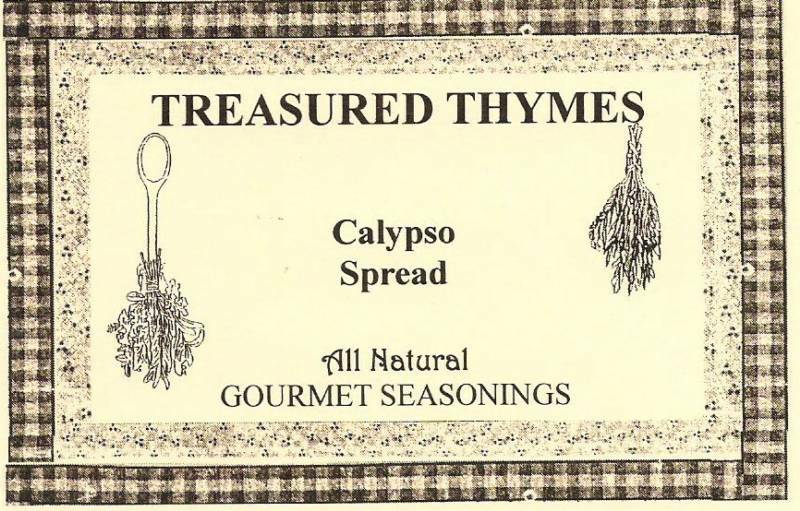 Great as a topping for baked or sweet potatoes, chicken or fish. Mix with mayonnaise and sour cream. For the serious garlic lover! 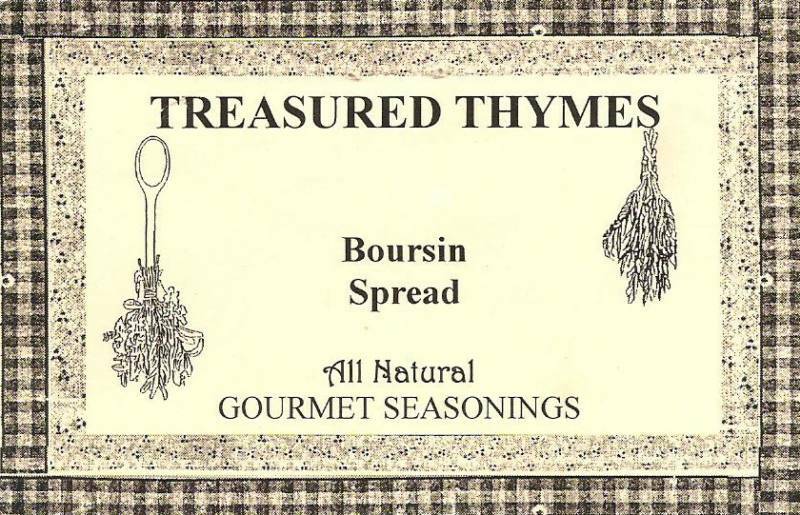 It makes a tantalizing topping for baked potatoes, or spread over grilled meat the last few minutes of cooking. Very addicting with crackers or bagel chips! Mix with: Cream cheese, butter, and sour cream. A tropical sensation for your taste buds! A small can of crushed pineapple added to make an outstanding spread for a variety of crackers. Also makes an impresive cheese ball for parties! Mix with: Cream cheese and crushed pineapple. Popular flavor combination! The name says it all. 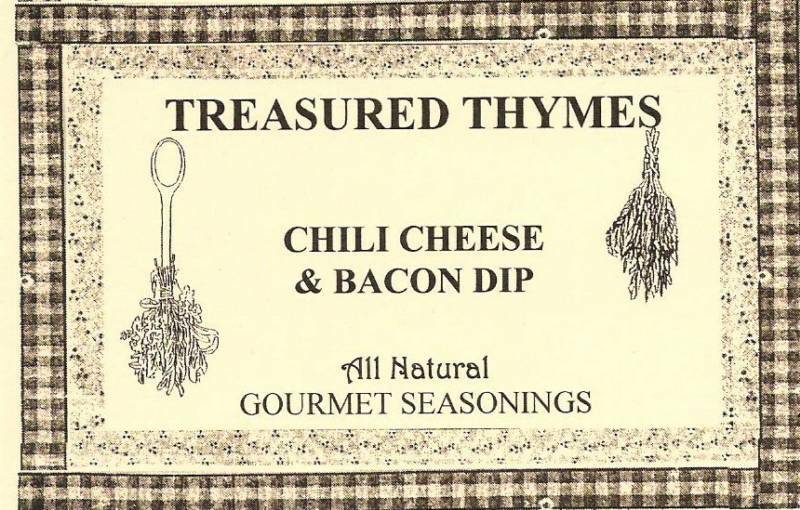 Wonderful with taco chips, fritos, even as a topping for baked potatoes! Mix with: Mayonnaise and sour cream. 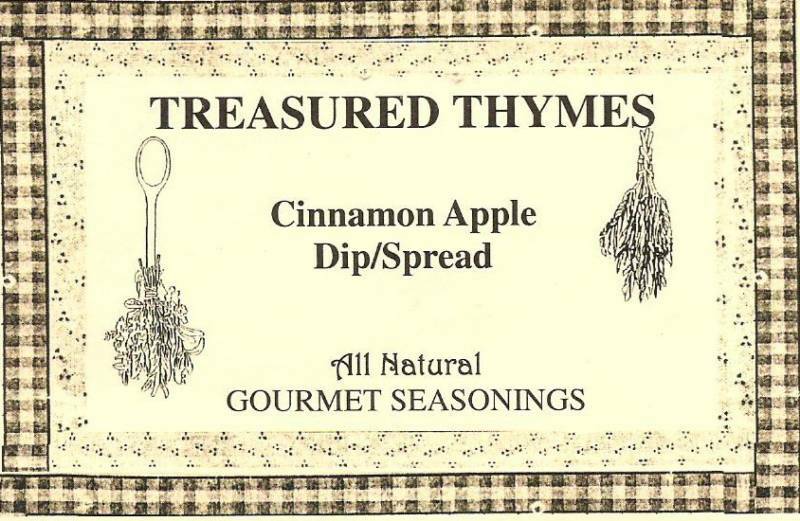 An addictive cinnamon spread that's a fall favorite for fresh-cut apples or as a sweet topping to any snack or dessert. Just like the seasoning on the Everything Bagel! Use it to flavor eggs, pasta, chicken, baked potatoes, popcorn, or pizza. The possibilities are endless! Want a great bowl of chili? Try our seasoning mix. A chili with old fashion taste and multiple layers of flavor. Instructions to make an awesome pot of chili are on the back of the label. that like that extra tingle of heat to the taste buds. Has won two "Best Chili Cook-off Awards"! A medley of vegetables, herbs, & spices from the garden. 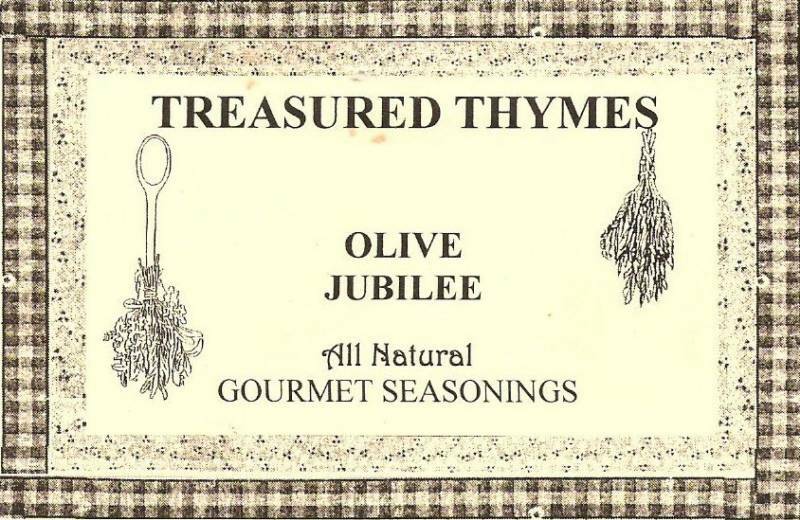 Use on bagels, baked potatoes, or with a variety of crackers or chips. 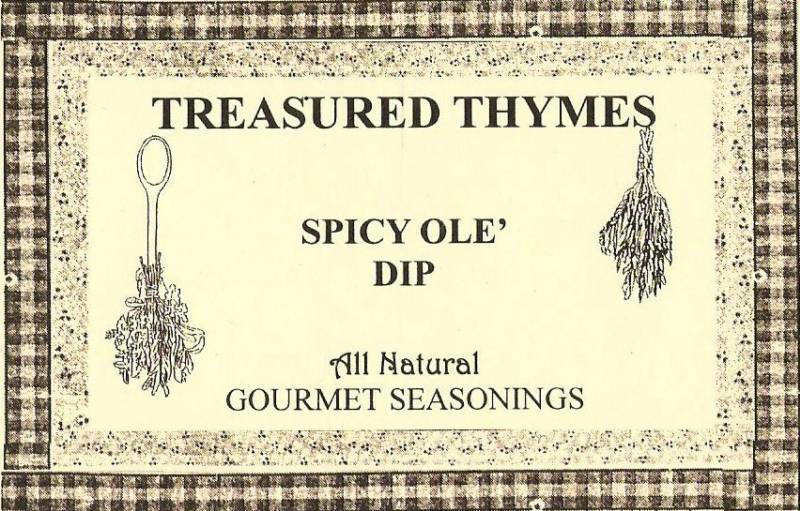 Delicious mixture of spices that make a great dip for vegetable trays, condiment for fish, topping on baked potatoes or chicken. A good kick to clear the senses! 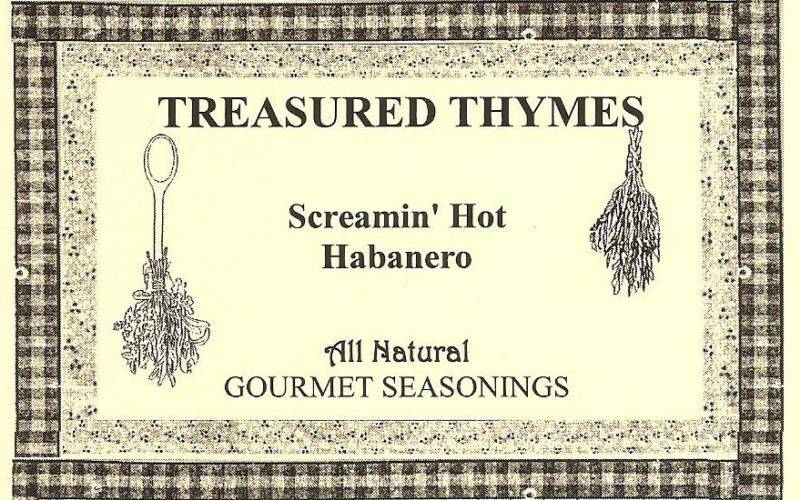 Along with a delicious flavor, this unique blend of spices please every time. Mix with: Mayonnaise and cream cheese. Or as another option, simply mix the seasoning with 2-3 avocados for an amazing guacamole with excellent flavor. 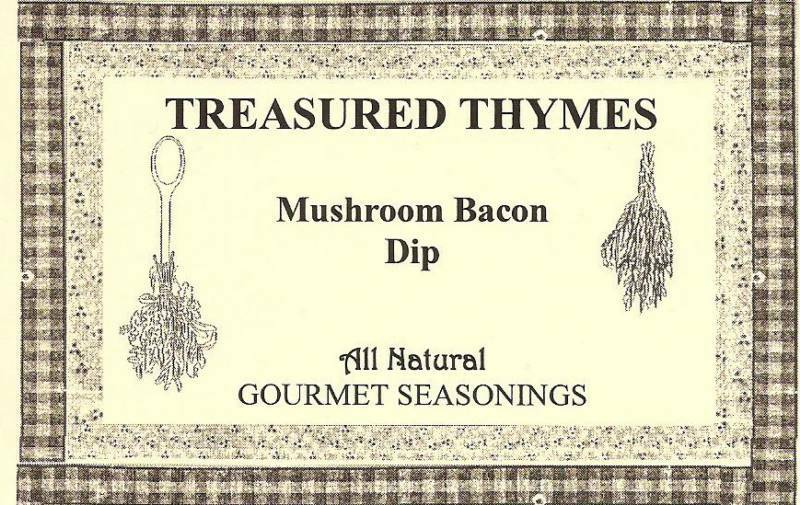 Savory blend of mushrooms and bacon that gives an earthy flavor to potato chips and any variety of munchies. 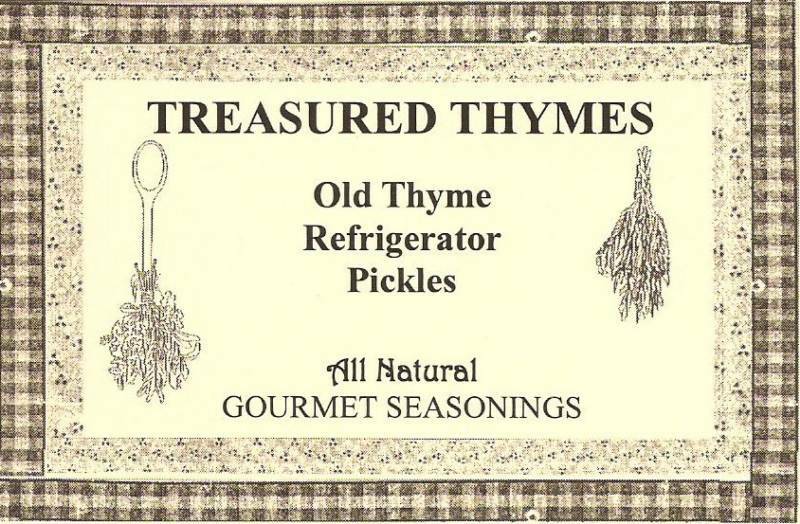 Use in place of french onion mix for a tasty meatloaf. The easiest home-made pickles you'll ever make. Just add a few ingredients for a tasty vegetable side dish that's sure to be a hit at any occasion. Mix with: Sugar, vinegar, cucumbers and onion. The #1 best seller! Add a small jar of sliced green olives with pimentos and you have an authentic, unusual olive spread to use on hamburgers, sandwiches, or assorted crackers. Mix with: Cream cheese, mayonnaise and sliced pimento olives. 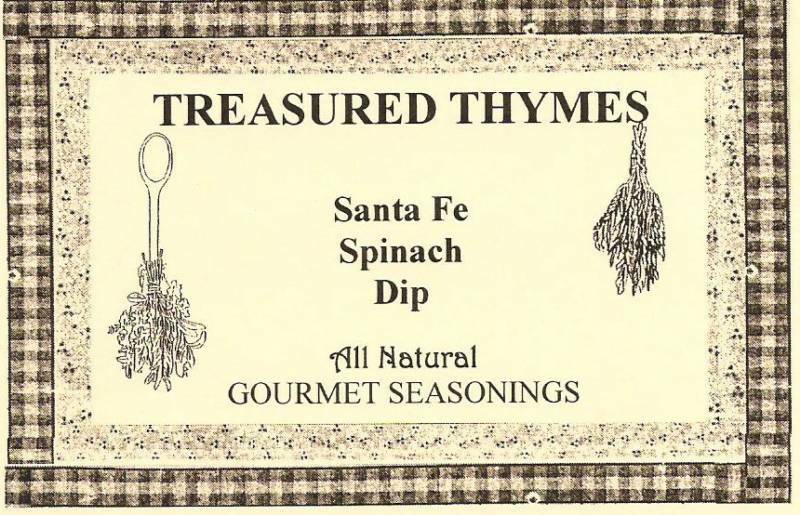 Old fashioned spinach dip 'Santa Fe' style! This blend of spices deliciously brings out the spinach flavor. Mix with: Sour cream and mayonnaise. Try, if you dare, this fiery habenero dip with flavorful spices that are sure to please! Not for the faint of tongue! A bar cheese reminiscent of the appetizer cheeses one would get in pubs. 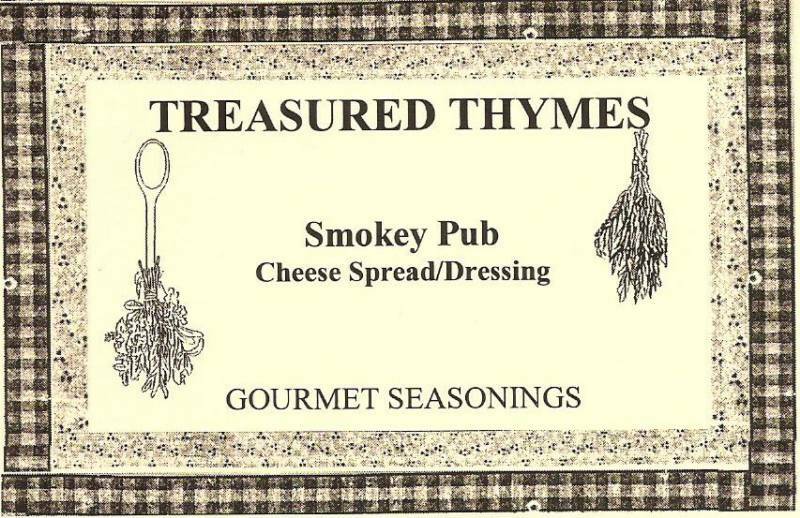 Has a smokey cheddar cheese flavor with a touch of heat that will jazz up any cracker or chip selection. Mix with: Cream cheese and Mayonnaise. Spicy tasting Mexican flavored dip with just the right amount of spices. A great appetizer with taco chips, fritos, layered bean dip, etc. Sensational sweet dip made with freeze-dried strawberries. Delicious with fresh fruit, crepes, waffles and more. Basil with bits of sun-dried tomato and lemon to bring out it's fresh flavors. 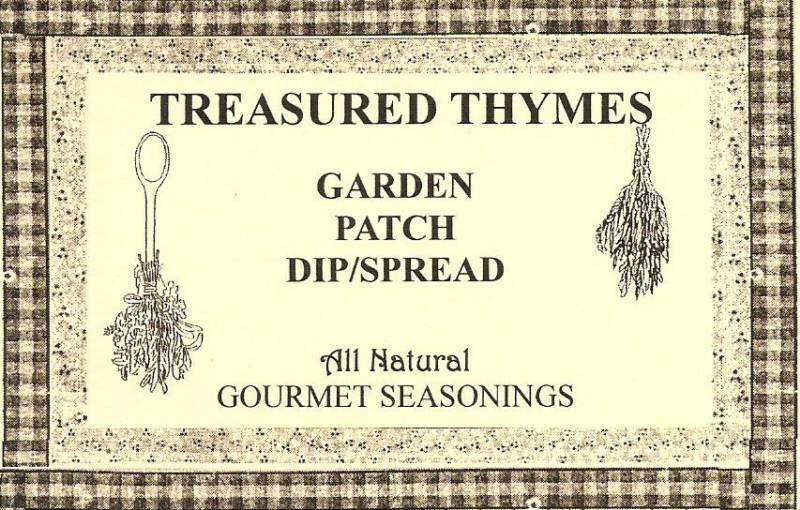 Use as a dip for fresh veggies or a variety of munchies. 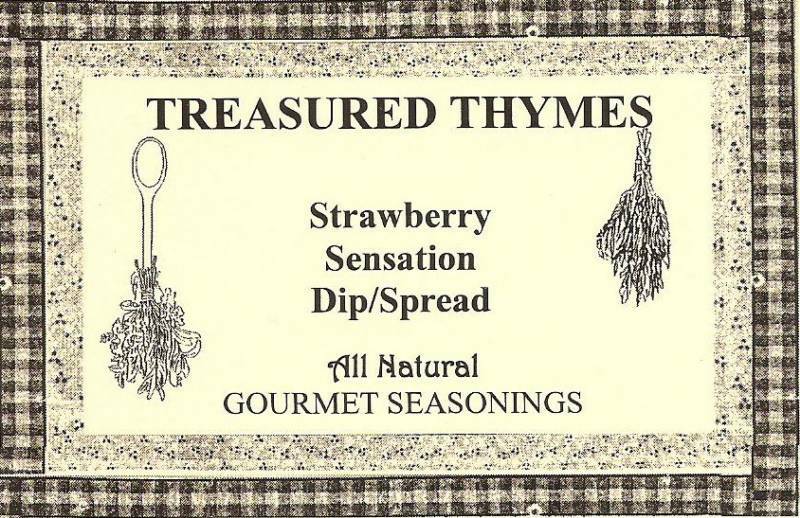 Also as a condiment on sandwiches or as a salad dressing.